How to Convert from MP4 to WMV on Windows and Mac? WMV (Windows Media Video) is a video file format created by Microsoft, initially for use on Windows systems only. 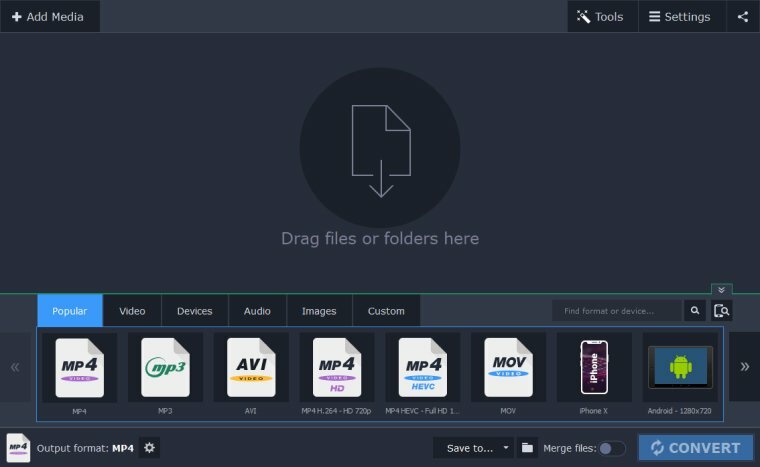 These days, it’s not so popular, but there may be situations where you want your MP4 video to be stored and played in WMV. But how to convert MP4 to WMV? Choose WMV as the target format. 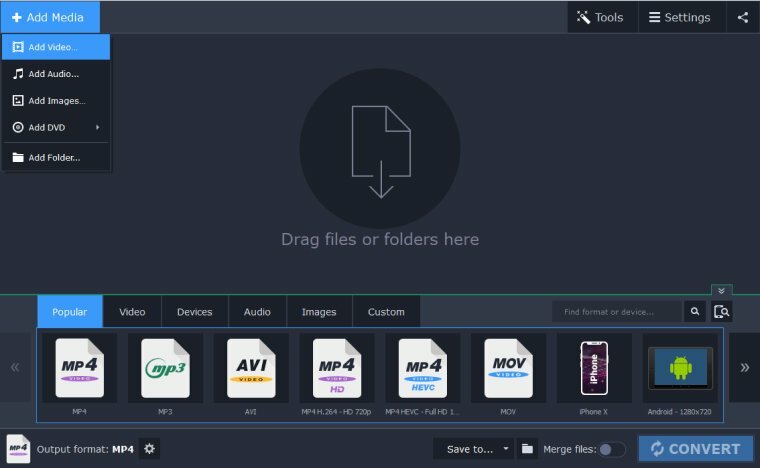 Is your MP4 video file over 100 MB? Try our premium desktop app instead! Our online conversion tool works with files of less than 100 MB only, so if your videos are larger than that, you won’t be able to use it. But there’s a great solution to this problem – the SuperSpeed Video Converter. This desktop version of our web service is more advanced, but still user-friendly and easy-to-use. 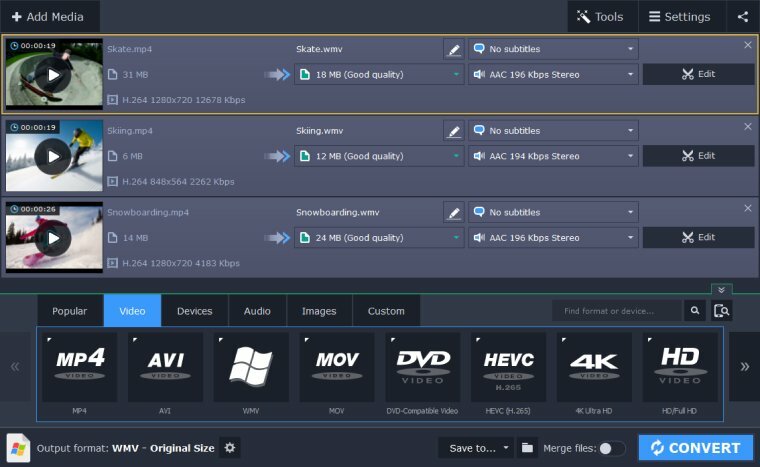 Convert between more than 180 media formats without the usual converting complexities. 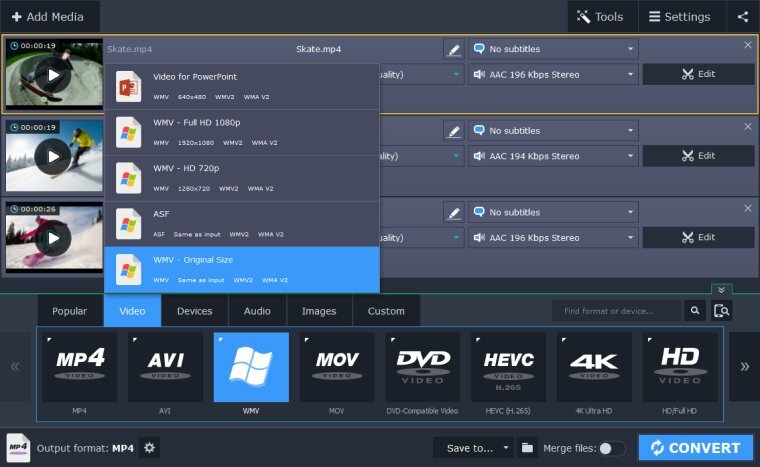 Despite being called a video converter, the program enables you to convert many different types of media: video, audio, and images. And with the batch conversion feature, you’ll be able to transfer several MP4 videos to WMV simultaneously. Download the Windows or Mac version and follow the instructions below. Launch the downloaded file and install the program following the on-screen instructions. There are two ways to add your files to the program. You can click the Add Media button in the top left corner of the program interface and then select Add Video, or you can simply drag and drop the videos from their folder directly into the program. To select the target format, go to the Video tab and choose WMV. Select the WMV preset that is best for you. Click the Folder icon to choose the output folder for your WMV videos and then click Convert to start the process. Once the conversion is complete, the destination folder will open automatically. SuperSpeed Video Converter is a fast, easy-to-use tool for converting your MP4 files to WMV. Change the format of large HD movies or short music videos – the result is always great. Download the version for Mac (OS X 10.7 or higher) or Windows (XP/Vista/7/8/10) and start changing media formats right away!